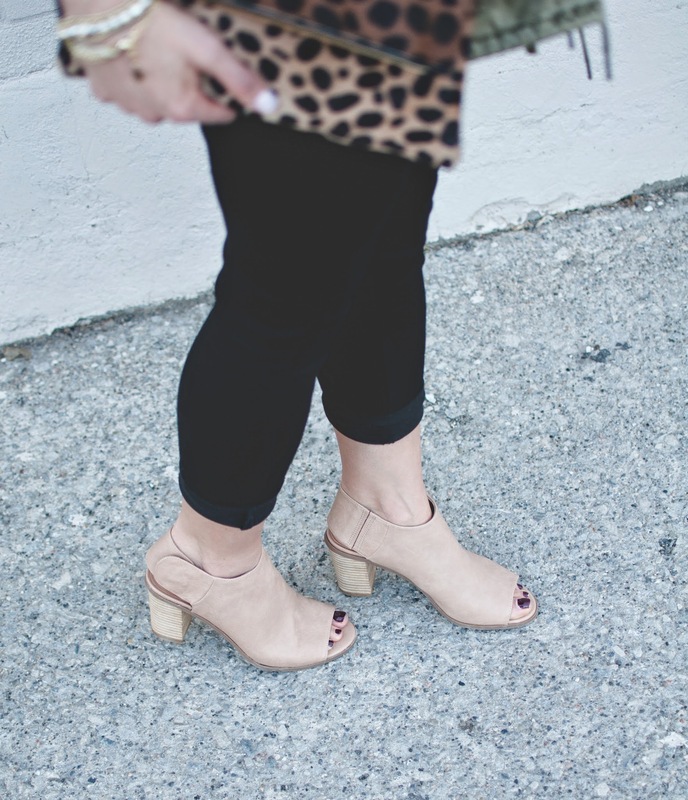 OOTD - Peep Toe Booties | La Petite Noob | A Toronto-Based Fashion and Lifestyle Blog. I swear Spring was just here, and has abruptly left for the time being. Cold weather, grey skies and rain drizzle are on the horizon for the next week, stretching out that in-between transitional period from Winter to Spring. For the style Noob it's been a challenge to keep on thinking of transitional outfits, but I have leaned to rely on a few key pieces to get me through to sunny spring weather. Peep toe booties are one piece that I have been leaning on during this strange weather - the cut out lends to more of a fresh look, but they are structured enough to still look weather appropriate should the temperatures dip during the day. Read on for additional photos, as well as outfit details and a closer look at these very versatile peep toe booties. I found these Kacie Peep Toe Booties while browsing at my local Target - they were on the reduced rack and I managed to score them for a whopping $17 and change! I typically try not to purchase man-made leather shoes and bags, but at such a low price you really can't go wrong. Plus, man-made materials are much less maintenance, so if I'm wearing these booties during a surprise rain shower I don't need to panic. 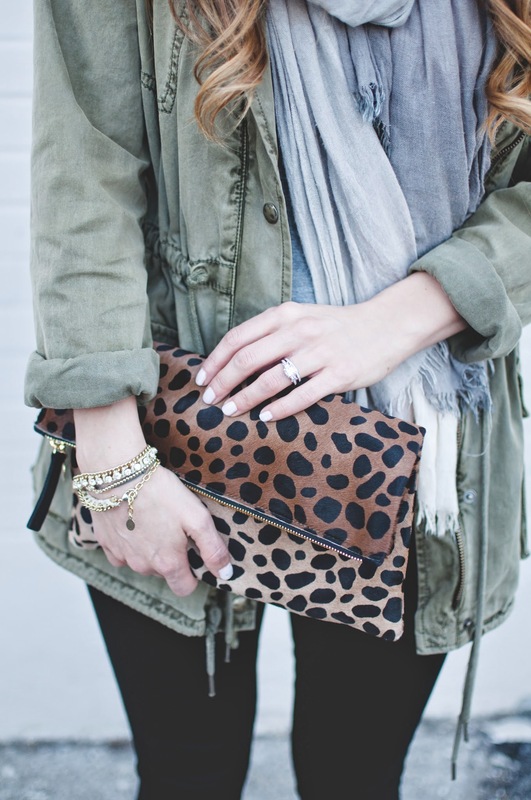 This Clare Vivier Leopard Foldover Clutch has been one of my smarter purchases this year. I have been reaching for it, whether it be for a night out or just to dress up a casual outfit like this one. Here's hoping for warmer weather soon! I hear ya! I'm getting whiplash from all this change in weather. 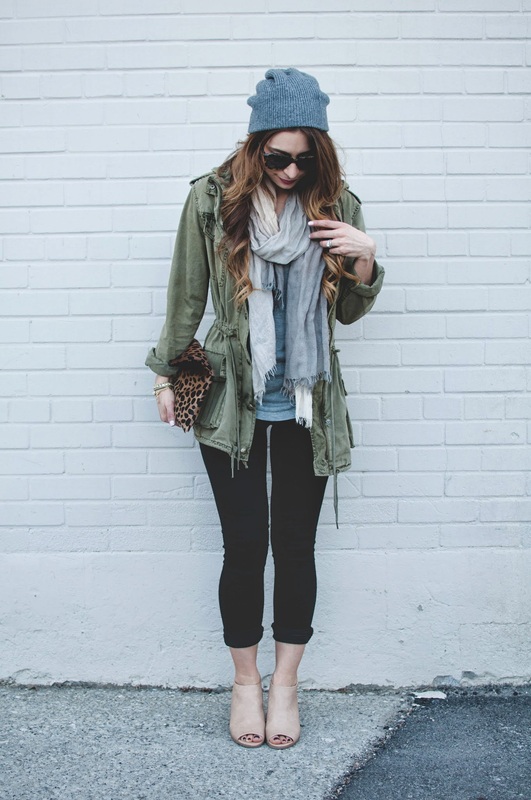 love the outfit though and those booties are amazing I'm going to check out my Target too! Thank you! Check the booties out - I have a feeling that I will be getting a lot of use out of them during this crazy weather! Loving those booties, girl! A little birdy told me it's supposed to get up to 16 degrees Thurs in Toronto area, I cannot wait. :) Happy to have found your blog, fellow Canadian!